What: I traded TheMythicalDots my OC Mellow in exchange for two characters, one of the characters they did not own and stole to trade to me. They currently are still in possession of my OC Mellow, I deleted the stolen character from my toyhouse. Explain: TheMythicalDots is a member of my Discord server, they posted in our Advertising channel with a character for offers. Understandably a bunch of people in the server offered on it. shortly after this Dots @'d me in the server asking if I would trade my OC Mellow in exchange for the stolen character they where calling "Arlo" and another OC of theirs named Viper, I said I could accept that really only being interested in Arlo but Viper being an addon to sway me I said yes. So I upload the character as they sent me a transparent file and upload the character to my toyhouse, and thankfully two kind people told me that the character ALREADY existed in someone elses toyhouse and was owned by someone else, I quickly delete the character from my toyhouse and message the two people privately my apologies and asking them to apologize to the REAL owner for me, since the original owner never contacted me I chose to not get them involved. 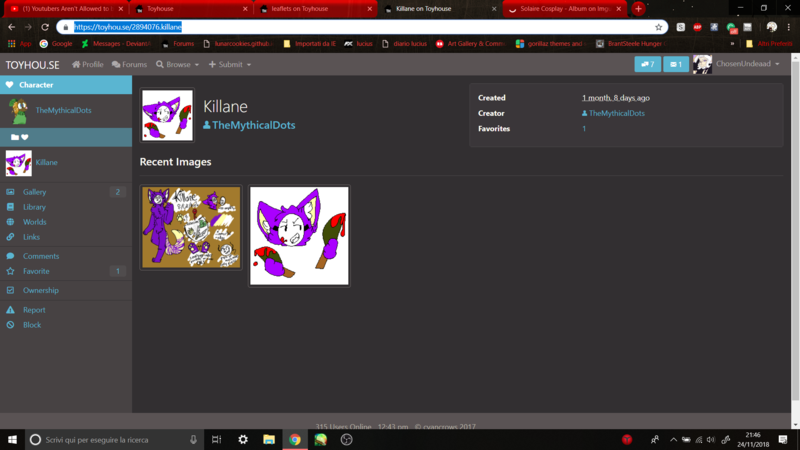 (Real owner is Leaflets on TH) Dots was also found trading the character in ANOTHER server I am not apart of but some friends of mine are I have DMed Dots sending their other OC Viper back and demanding they send me Mellow back, thus far I have been met with Radio Silence. Your links doesn't work ! I don't know if it's worth to mention, but I was looking through their characters and I've noticed that their oc Killane is basically a ripoff of Kedamono from Popee The Performer. It might just be a coincidence, but I'd be surprised if it was the case, they're way too similar. Surprisingly, both Killane and Kedamono look really similar with each other, so I think this should be added to the PSA as well. Thanks for the heads up! ChosenUndeaad Historia Thanks for the heads up! I’ll definitly add this when I get home ! id definitely suggest filing a ticket with TH to have them remove/transfer back your character. id just send the proofs of their theft, trade, etc! Lotor is this skepticism of me being a liar or just urging me to be more cautious in the future? I am not understanding your wording ?